This mini office is designed by an English company. With the size of 7*7 feet, it is large enough for single person work in. 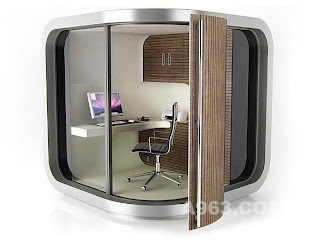 You could put in one simple office furniture set and some office suppliers. Made of metal, glass, wood, it looks modernize. Maybe, that’s a not bad choice for you to place it beside your house.